I’m leading a webinar for World Creativity and Innovation Week on April 15th to inspire innovation and engage 200 IT professionals in Europe, the Middle East and Africa . Megan Mitchell. The Ontario Public Service, HR Ontario, Ministry of Government Services is sponsoring “Expanding the Box” in the St. Lawrence Lounge April 16th from 10-2 with people sharing their innovation in government stories, and is holding a (now sold-out) TEDxOPS on April 18th. Créa-Québec sent this message to everyone on their list! Bientôt la semaine de la créativité et de l’innovation! Créa-Québec vous invite à célébrer votre capacité à imaginer, à trouver de nouvelles idées et à prendre de nouvelles décisions pour améliorer votre environnement et votre quotidien. Pendant cette semaine, toutes les initiatives créatives sont encouragées. Pourquoi ne pas organiser une marche de la créativité, co-créer un mandala ou une recette de cuisine, organiser une rencontre ou un festival différent, changer ses petites habitudes…? Depuis 2002, des professionnels, des particuliers, des associations, des écoles…une centaine environ dans 46 pays différents ont célébré cette semaine de la créativité, marquée le 15 avril par le jour de la naissance de Léonard de Vinci. Rejoignez ce mouvement positif et plein d’énergie en exprimant votre esprit créatif ! Pour ce faire, pourquoi ne pas partager sur notre site vos initiatives, grandes ou petites, et ainsi contribuer à l’expression de votre créativité et peut-être à inviter les autres à les partager avec vous! 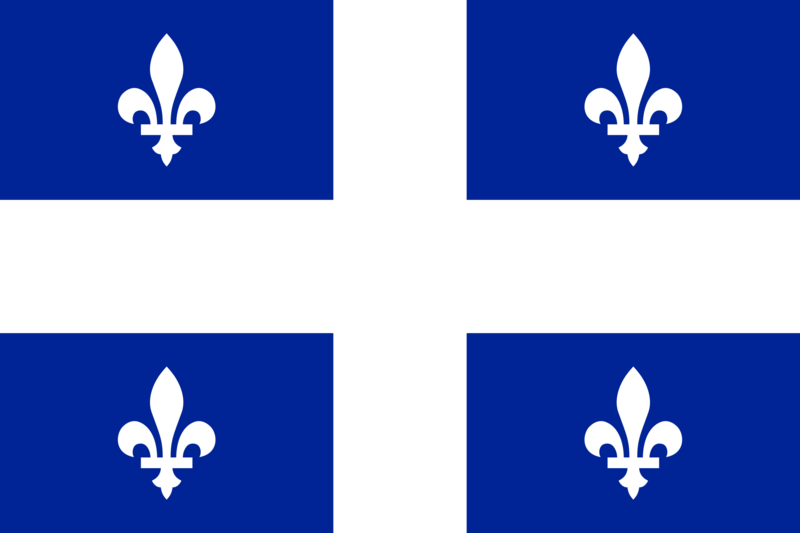 Laissez-nous savoir ce que vous planifier en donnant un court descriptif de vos initiatives sur notre site en cliquant ici! National Public Radio aired an interview on Monday April 15th a.m. with Dr. Bonnie Cramond,Dir. of Torrance Center for Creativity and Talent Development, at the University of Georgia. The interview will help kick off World Creativity & Innovation week. Indianapolis, Indiana: United Way holds Staff Leader’s Conference, April 17th. Anaheim, California: Igniting divergent thinking and building on ideas in sales and marketing at Disney. Buffalo, NY Buffalo Creativity Salon is meeting during World Creativity and Innovation Week and as something a little different, as a special event, are viewing the video Happy. It started in Buffalo, NY, now it’s global! To commemorate Earth Day (April 22) and World Creativity and Innovation Week (April 15-21), groups from Western New York, West Palm Beach, Florida; Nashville, Tennessee; Charlotte, North Carolina and Campobello di Licata, Italy will be leading neighborhood litter pick-ups. With the trash they collect, they will be creating collages entitled “Please stop littering! We are running out of glue.” Details If you would like to join in and form a small group of youths to take up the project, I will email you the flyer, registration sheets (if needed), project write-up, and materials list. email us at 1WNY4U@gmail.com Write up in the Buffalo News! Rochester, NY: I am running a seminar for about 100 teachers titled “The Creative Imperative”, Leading a lesson on Creativity with high school students and offering a free community talk on Creativity. I’d like to also encourage all to take the PLEDGE. Cory Wright. Bloomington, Indiana:The Tailored Fit is partnering with My Sister’s Closet to re-purpose donations into fashion accessories in celebration of World Creativity and Innovation Week April 15 -21 in Bloomington! Volunteers are needed! Do you have a project/or idea for Creative Indiana‘s local celebration of WCIW? Contact. Bloomington has a lot of activities going on for WCIW – make sure to check them out. Jacksonville, FL, The Early College Creativity Workshop at Florida State College at Jacksonville introduced high school juniors and seniors to creative process, organizational creativity and creative problem solving. The students did an amazing job in applying these skill sets to the challenge for the day. This event was under the program direction of Maggy Dartinguave Peck and videographer Mr. Haines. 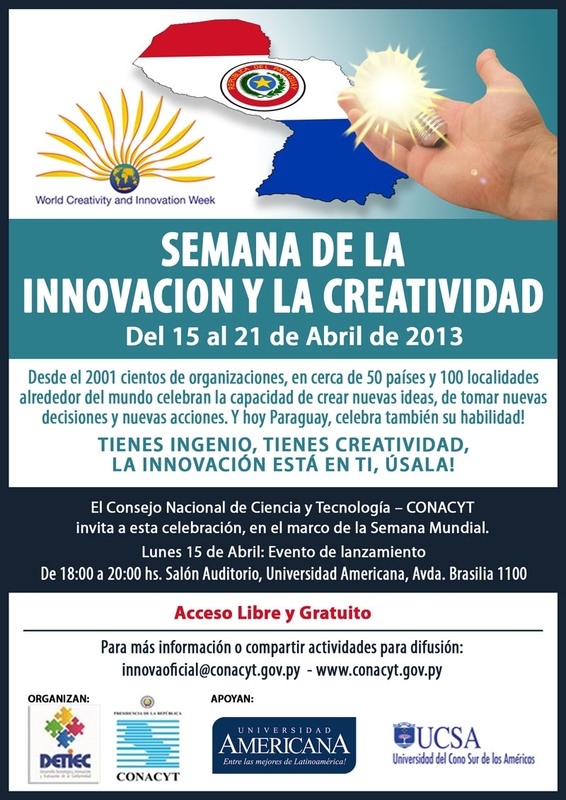 Puerto Rico will celebrate for the first time this year, 2013, the World Creativity Week as an initiative of the Mayagüez Creative Industries Incubator. Puerto Rico’s Secretary of State, Hon. David Bernier, will issue a Proclamation and the Mayagüez Creative Industries Incubator will launch their Creative Applause Campaign to encourage the community to recognize local creativity and talent with virtual applause. Paris, France: Kick off World Creativity and Innovation Week with a Pop-Up Art Experience, a creative collaboration between artist and writer. Starts with a vernissage on Thursday, April 11, starting at 19h: Art, with wine & cheese and a reading, too. The Gallery is open all day Friday, Saturday and Sunday, April 12-14, from 10h to 21h. Writing Ateliers will be offered throughout the weekend: Friday afternoon, Saturday and Sunday mornings. Selected Memory Details. This started in Paris – it is an invitation for you to join the world’s largest online idea workshop. 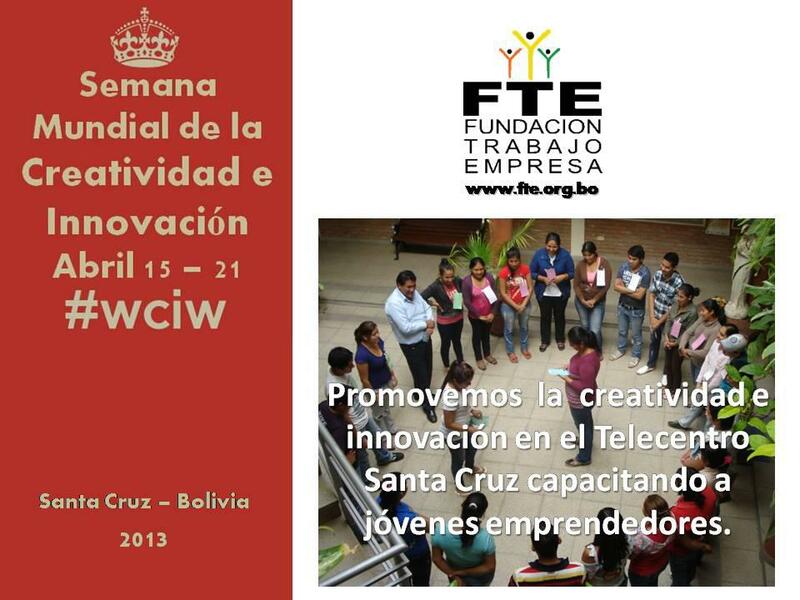 Here is the link with info on the Stormz Workshop for the World Creativity and Innovation Week April 15-21. Details. Chaque année le 15 avril, à la date anniversaire de Léonard DE VINCI, débute la semaine mondiale de la créativité et de l’innovation. Il s’agit à la fois d’un hommage à l’immense talent de Léonard DE VINCI, à l’héritage exceptionnel laissé par sa pensée et par son œuvre, et surtout d’une invitation à suivre son exemple, en osant exprimer sa créativité. Le principe est de contaminer son entourage par des actions surprenantes, inattendues, inventives ou simplement différentes de l’habitude, et de disséminer ce mouvement par contagion virale en témoignant de vos actes créatifs ! Dites nous quelle question vous vous êtes posée et surtout comment vous y avez répondu ! Témoignez sous formes d’écrits, d’interviews, de photos, de vidéos… sur la page facebook du groupe Créa-France : https://www.facebook.com/groups/5785131596/?fref=ts, groupe ouvert sur simple demande ! Et si, de proche en proche, par cercle concentrique, nous parvenions à toucher et à concerner de nombreuses personnes pour instiller de la créativité, de la ludicité et de la joie dans des milieux différents et variés… et pourquoi pas ? Frankfurt/Main, Germany inporticu (network for innovation) offers a celebratory workshop on 20 April “Beim Arbeiten wachsen mir Fluegel” (I grow wings at work) – Strategies for Creative Spaciousness at Work. Details: email s.amend at inporticu.net. Tegucigalpa, Honduras: Teacher’s at the American School are engaging this week and next week in a course in Creative Problem Solving given by Dr. Keller-Mathers from the International Center for Studies in Creativity(ICSC) in Buffalo NY. 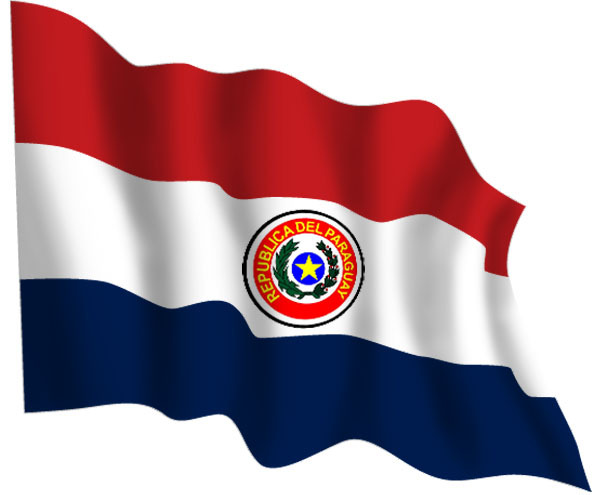 They will also have the opportunity to connect with ICSC graduate Mary Beth Puerto (McCune) who moved from Buffalo, NY to Tegu recently. In preparation for the #AmplifyFestival of Innovation & Thought Leadership which will take place 3-7 June 2013 in Sydney and Melbourne ( http://www.amplifyfestival.com.au) we have created an activity coinciding with World Creativity and Innovation Week. Everyone of our 7700 employees received an Origami pack by deskdrop today, with an invitation to fold 4 Cranes, photograph them in unusual places and upload it to the Amplify website, and use the folded cranes to create their own mass art installations. These will form part of the final Amplify Festival expo in the foyers of all our corporate buildings and meeting spaces around the world. A campaign to get people to be creative while they travel is being launched in the UK to mark World Creativity & Innovation Week (April 15-21). • Don’t be afraid of being alone with your thoughts. Silence can be golden – start enjoying and savouring mental solitude. In preparation for the #AmplifyFestival of Innovation & Thought Leadership which will take place 3-7 June 2013 in Sydney and Melbourne ( http://www.amplifyfestival.com.au) we have created an activity coinciding with World Creativity week. Everyone of our 7700 employees received an Origami pack by deskdrop today, with an invitation to fold 4 Cranes, photograph them in unusual places and upload it to the Amplify website, and use the folded cranes to create their own mass art installations. These will form part of the final Amplify Festival expo in the foyers of all our corporate buildings and meeting spaces around the world. Thanks for your great news Annalie! We at http://4ormat.com/ (from Toronto) love the WCIW initiative and are avid supporters of giving back to the creative community. In preparation and celebration of 2013 World Creativity and Innovation Week, we are giving back with http://www.damnyouartschool.com/ (DYAS)! Recognizing the lack of knowledge regarding business-enhancing resources in the creative community, Damn You Art School was born to help creative independent business owners be more successful. Join the DYAS + WCIW crusade by spreading the word! To celebrate WCIW I will be filming a Creative DVD for Coaches, Mentors, Trainers and Teacher to use. Once it is done it will be available to all. Together we are creating this DVD and writing a book about Creative Coaching and Mentoring. It will be a 30 min DVD that will stand alone or acompany our book. If any one is free on Tuesday and lives in South Wales or could get there we could do with a few more extras for the filming. Contact me if you are interested. Michelle will be one of my guest bloggers soon, so look out for that. Inspiring CREATIVE VISION & SKILLS as an essential tool for Business Development and Life using PRESENTATIONS, EDUCATION & CONSULTANCY SERVICES. The Early College Creativity Workshop at Florida State College at Jacksonville introduced high school juniors and seniors to creative process, organizational creativity and creative problem solving. The students did an amazing job in applying these skill sets to the challenge for the day. This event was under the program direction of Maggy Dartinguave Peck and videographer Mr. Haines. Great: 1 year is over (like it has been just yesterday) … and it’s about time to celebrate creativity again! At long last! My this year’s Creativity and Innovation DAY contribution is the opening of the 2nd official Ideas Fitness Trail in Germany on Monday April 15th – Leonardo surely would have loved it ;-). Like the 1st course in 2012 it will be a setup, encompassing 12 solid stations which are custom-tailored to stimulate the brain and to flex a broad range of “creativity muscles” – and with that to help people to develop from a mere brain-owner towards a competent brain-user. Basic information about the path, which will be awarded “Best idea 2013” in the nationwide ZI-award 2013, can be found on this website: http:/www.ideentrimmpfad.de (German only). 2) A new FORUM will be launched on a social media platform called Xing (contrastable with Linkedin, focussed on the German “market”) – the theme of the group will be … of course: World creativity day. 4) The 1st Ideas Fitness Trail will reveal it’s latest UPDATE & UPGRADE: Ideas Fitness Trail 2.0 – where all stations wil be redesigned as a unique work of art featuring diverse “famous creative minds” as sculptures and “wanted posters” with the respective CV in a nutshell. 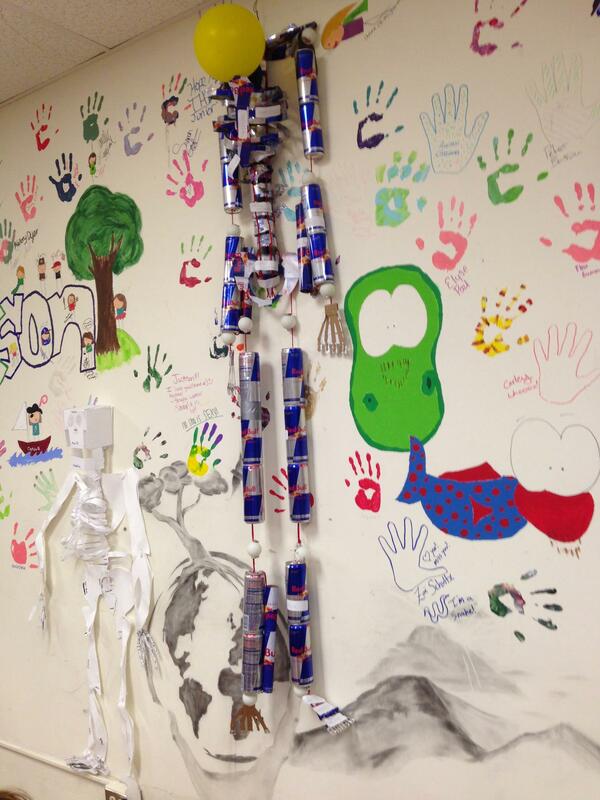 5) Eventually a new websites part will open: A HALL OF FAME of applied creativity. 6) A WEBINAR “Ideas 2 go” will be held for all interested in taking a “first ideas shower” without physically entering an bewildered seminar room. 7) And finally, my secret favourite: I’m going to launch a new WIKI-ARTICLE about one of my “creative heroes”. Stay tuned. If you are interested in one of the projects, let me know and I’ll be happy to share ideas n more. Just saw this here, and would be very interested about the ideas fitness trail. How would I get more to know about it. The International eJournal of Creativity & Human Development is an independent non-profit online journal at http://www.creativityjournal.net. Our aim is to showcase great creativity around the world, creativity research and academic articles, interviews with creative people and topics such as creativity in science, technology and the arts. We are celebrating WCIW by offering free-to-read articles on the site each day, as well as a special subscription offer of 18 months for the price of 12. 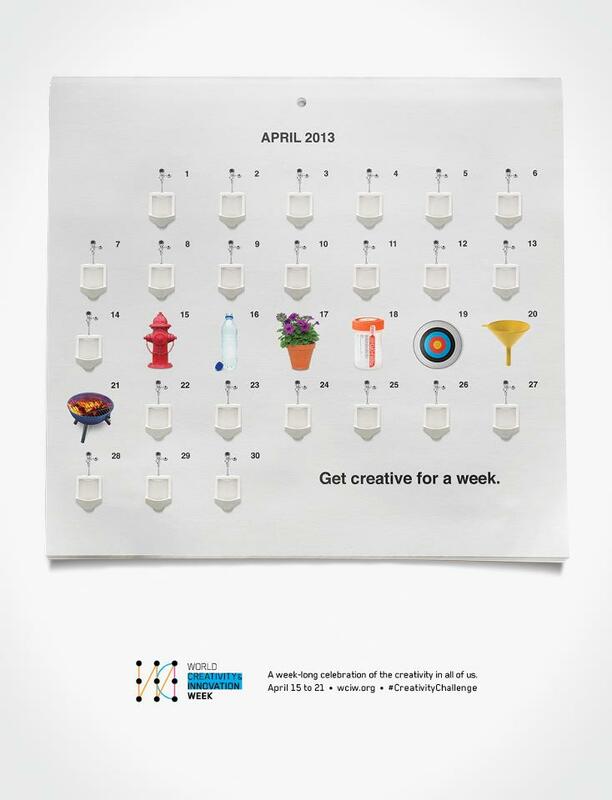 Wishing everyone a wonderful Creativity & Innovation Week! Project participants in a problem solving follow up session, at Amorim & Irmãos, the world’s biggest cork company, agreed to dedicate the session to the creativity week 15-21 April 2013. Apgico believes that one of the best ways to celebrate creativity is by turning people’s creativity into profitable innovation. In this case, a team of managers and workers is developing ways to improve feedback communication about company quality programs.